*T.D. 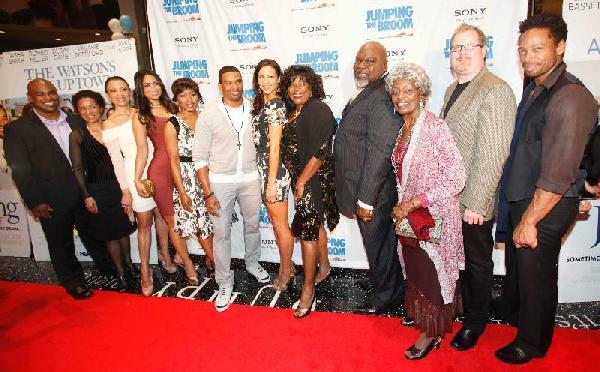 Jakes of TDJ Enterprises hosted a star-studded Easter weekend extravaganza to celebrate the forthcoming release of his feature film Jumping The Broom on May 6. 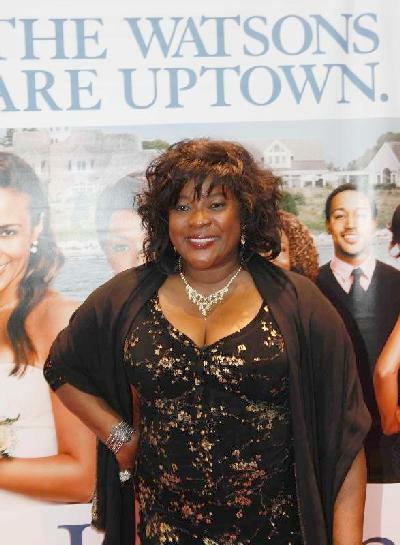 Stars of the Sony Pictures film such as Angela Bassett, Loretta Devine, Paula Patton, Laz Alonso, Valarie Pettiford, Gary Dourdan, Vera Cudjoe, producers Curtis Wallace, Tracey Edmonds, Glendon Palmer and screenwriter Elizabeth Hunter all turned-out to support the film’s Dallas preview. The 2-day event kicked-off with a red-carpet screening at the NorthPark AMC Theatre, then a Sunday Easter service at Bishop Jakes’ The Potter’s House, followed by an ultra-exclusive soiree at a private location featuring a special performance by R&B artist, Ledisi. 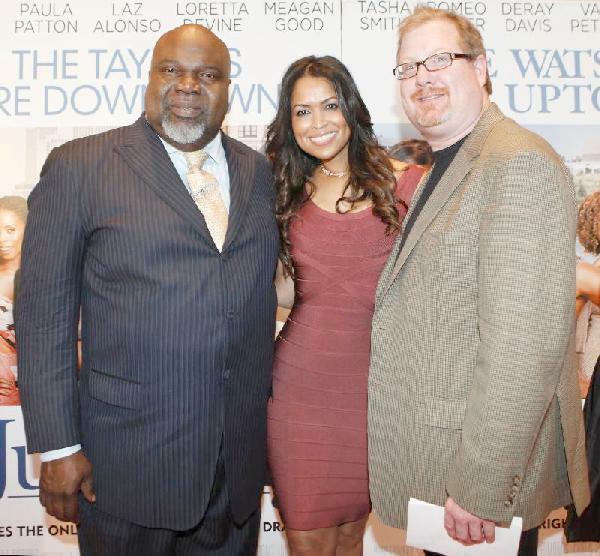 Also on hand to join in the festivities were R&B heartthrob Robin Thicke, actor Courtney Vance, NFL greats Michael Irvin, Deion Sanders, Emmitt Smith, gospel superstars Kirk Franklin, Fred Hammond, Tamela Mann with husband actor David Mann and many, many more.